A combination of an ancient Ayurvedic herbal preparation and probiotics can extend the lifespan by sixty percent. Okay, okay - of fruit flies. But even then, a life extension of 60 percent is considerable. Reason enough to take a closer look at the research that Canadian molecular researchers at McGill University recently published in Scientific Reports. Yet another group of flies got both the probiotic mix and Triphala through their feed. [Synbiotic] ​​Control groups got flies or nothing at all through their food, [Control] or just a single probiotic strain. The probiotic mix [Formulation] and the Ayurvedic supplement [TFLA] prolonged the lifespan of the flies, anbd the combination of those two [Synbiotic] even ​​worked better. 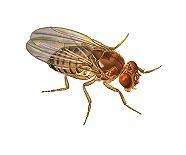 Normally, fruit flies live in a laboratory for 40 days. Were they given the combination supplement, they could live for 70 days. Like humans, fruit flies tend to get fatter when they age. Supplementation with the Triphala-probiotic-combi put a stop to it. Aging is associated with a decrease in insulin sensitivity and an increase in the risk of diabetes. 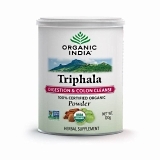 The Triphala-probiotic-mix also inhibited that aspect of the aging process. See above. Another aspect of the aging process is the reduction of the body's ability to clean up oxidants. The story becomes monotonous, but the Triphala-probiotics-combination reduced this part of aging process as well. Finally, aging deteriorates the immune system. You can see above that the Triphala-probiotics-combi improved older fruit flies' impact on E. Coli bacteria. "At the onset of this study, we were hopeful that combining Triphala with probiotics would be at least a little better than their individual components in terms of physiological benefit", says first author Susan Westfall in a press release. [sciencedaily.com May 31, 2018] "But we did not imagine how successful this formulation would be." "Probiotics dramatically change the architecture of the gut microbiota, not only in its composition but also in respect to how the foods that we eat are metabolized", explains research leader Satya Prakash in the same release. "This allows a single probiotic formulation to simultaneously act on several biochemical signaling pathways to elicit broad beneficial physiological effects, and explains why the single formulation we present in this paper has such a dramatic effect on so many different markers." Sci Rep. 2018 May 30;8(1):8362. Beneficial bacteria in your digestive tract and the short-chain fatty acids they produce play a crucial role in the synthesis of the anabolic hormone IGF-1 in the body. Human study, maybe not completely free of commercial interests.